Reader Girls is the last stop on the Saved By The Music Blog Tour. Today we have a guest post by author Selene Castrovilla, our review, and there's a great giveaway going on too. Thanks for spending time with us. The last place fifteen-year-old Willow wants to spend her summer is on a run-down former coffee barge, which her aunt is converting into a floating concert hall. 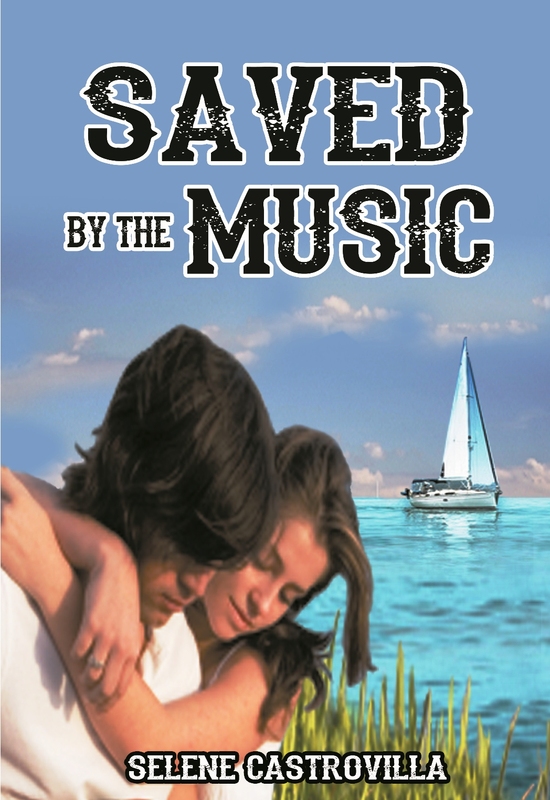 In Saved by the Music, Willow thinks she’s alone until she meets Axel, an older teen who lives isolated from the world onthe sailboat docked nearby. An unlikely romance sparks as the two grapple with their darkest secrets and bond through shared pain and laughter. It is a summer where music must do more than just soothe the soul. For the conclusion of my blog tour, it was suggested to me that I choose an excerpt from Saved By the Music. I wasn’t sure what to post: a romantic scene with the mysterious and handsome Axel? Or a moment with her wacky but oh so awesome Aunt Agatha? After much debating, I chose this pivotal moment near the beginning of the book. Willow has been dropped off by taxi at a boatyard. She is the proverbial “stranger in a strange land.” Add to that, she is an angst-ridden teen. Now, she has to walk a plank! I crunched though gravel, kicking up pieces as I moved toward the water. Sailboats, cruisers, and yachts were all tied with rope to the docks. There was Aunt Agatha, waving from the deck of a huge and hideous metal monstrosity. This blows, I thought, doubting there’d be any cable TV. She could not be serious. I couldn’t believe my bad karma. Instead of staying in the run-down house where I lived with my mother—that is, whenever my mom actually came home—I’d be spending the summer on a steel nightmare. At least, in the house, I had my own room with all my stuff, instead of whatever I could squeeze into my suitcase. Snatching my giant bag, Aunt Agatha galloped back up the narrow gangplank that stretched from the dock to the barge. I studied the gray, decaying wood of the gangplank, which was still shaking from her running on it. I can’t get on that, I thought. My aunt is nuts! Beaming at me with her sunbaked, craggy face, Aunt Agatha looked like a happy walnut. What could she possibly be smiling about? She wore a baggy, paint-splotched sweatshirt and frayed jeans. Why couldn’t she just be normal? I didn’t want to tell Aunt Agatha I was scared. “Put your mind in the soles of your feet,” she said, dancing on the plank. I looked down. Yuk! Could any fish survive in that murk? A piece of a tire and a crushed milk carton floated by. I shivered. I was next. My gaze returned to the scrawny piece of lumber. What if it snapped? I couldn’t swim. I bit my lip and shuffled mentally through my options: #1: Run. #2: Call the authorities. #3: Keep quiet and walk the plank. If I ran away from the barge, it would be smack into the hellish slum I’d just ridden through, which waited outside the tall barbed wire fence of the boatyard. I didn’t see any pay phones around the god-forsaken marina, and I was about the only one in tenth grade without a cell phone. That meant I’d have to get on the barge, plank or not. I needed to meet Aunt Agatha’s demands –for now. She held out her hand as far as she could reach. “Come on, love,” she coaxed. I tried to put my mind in my soles, like she said. I placed one foot on the wood. It quivered. I tried not to. I knelt and began crawling across the creaking, sagging plank. It smelled moldy and felt rough. I held my breath. The plank bounced. My eyes focused on my aunt’s insanely happy face, and I forced my body to go on. Aunt Agatha’s outstretched hand waited, just inches away. I lurched forward. The plank shook again as our hands locked. I’d made it. This moment signifies the beginning of Willow’s adventures on the barge. But more importantly, it is her first bonding moment with Aunt Agatha – the only person in her life who offers unconditional love. What if Willow hadn’t gotten on that plank? What if she’d turned around and fled the boatyard? Would her aunt have given up on her and sent her home? Luckily, we’ll never know. Willow has a tough time trusting adults. She’s been burned by both her parents. By taking this leap of faith and crawling on board, she is signaling her willingness to shed her old life and sorrows, and begin again. Just as the barge must undergo a drastic transformation to become a floating concert hall, so must Willow change dramatically if she has any chance of a happy life. That plank is a chasm, just like the train Harry Potter boards to leave London for Hogwarts. Having crossed it and grasped her aunt’s waiting hand, Willow is ready to change. And¸ even though she doesn’t know it yet, she’s ready to meet Axel. That’s the conclusion of my tour! Hope you enjoyed it, and good luck winning the grand prize. If you read my book, please contact me on my website and let me know what you think: www.SeleneCastrovilla.com. I always write back! I am also available for free virtual school, library and book club visits. Just ask! A special thank you to Reader Girls for hosting me today. This has been an incredible two weeks. Hope you’ll join me on my The Girl Next Door blog tour, coming soon. Willow is spending her summer vacation with her aunt. On their barge. Yes, you read that correctly. A barge is the setting for Saved By The Music by Selene Castrovilla and what an incredibly cool place to have a story take place on. The barge is docked in the Rockaways and Willow is from Long Island, where I lived when I was a little kid. Willow's Aunt Aggie is having the barge renovated so she can make it a traveling musical barge. Another cool aspect and very unique. Her aunt performs in the orchestral pit of a Broadway show and practices frequently on the barge. Willow is a sullen, snarky fifteen year old. With an unhappy childhood living with a mentally ill mother and abandoned by her father, Willow has to deal with her issues by herself. Her aunt tires to help by taking her away. At first, Willow can't stand the idea of living on or helping fix up a decrepit barge. She can't shower and she doesn't have a pillow. At nights she can't roam around on expeditions because the neighborhood outside of the boat yard is rough. Willow is infatuated with Jim Morrison from The Doors. He's become her hero of sorts so when she spots a guy who looks like him on a nearby sailboat, she can't believe it. Enter Axel, a guy three years older, classical cello player, and totally messed up rich boy. Axel and Willow become friends. When her aunt has to return to her job, Willow spends her time with Axel, talking about Shakespeare, music, and life. In a way they become lifelines for each other and music their connection. Saved By The Music surprised me with the ease in which I fell into reading Willow's story. Her sarcasm was a turn off at first until I began to understand her. When she meets Axel, he brings another dynamic to the story with his good looks, solitary existence and intellect. His switch in personality, especially when he's drinking, were part of his mystique. Willow has experience dealing with people who can switch their moods easily. The story itself is a powerful one and heavy issues like trust, loneliness, abuse, fitting in and all the wonderful things teens have to face growing up. I have to mention the importance of setting here. The barge, the boat yard, even the water became such an important character in this story. I could imagine the briny smell and hear the ding of buoys while reading. Thinking of the movement of water while Aggie played violin or Axel played cello or even Willow with her iPod on, all worked together to enhance my reading experience. I won't be forgetting the ambiance of this story for a long time. I really liked the characters with the exception of Craig. He was creepy and predatory. The relationship Willow and Axel develop is touching and we learn so much through their bantering and companionship. The theme of the importance of music in our lives is so important to me personally and I applaud the author for making this theme so relevant in her novel. As a teen I too felt a connection to Jim Morison's music through his lyrics and read whatever I could on the enigmatic rock god so I completely got where Willow was coming from. I also enjoyed Aunt Aggie and her eccentric sayings and behavior. She brought a touch of class and old fashioned intelligence along with a totally messed up car. 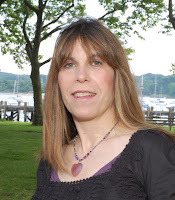 Her love for Willow added to the intense relationships in this story and her idea to create a mobile concert hall traveling the New York waterways was ingenious. 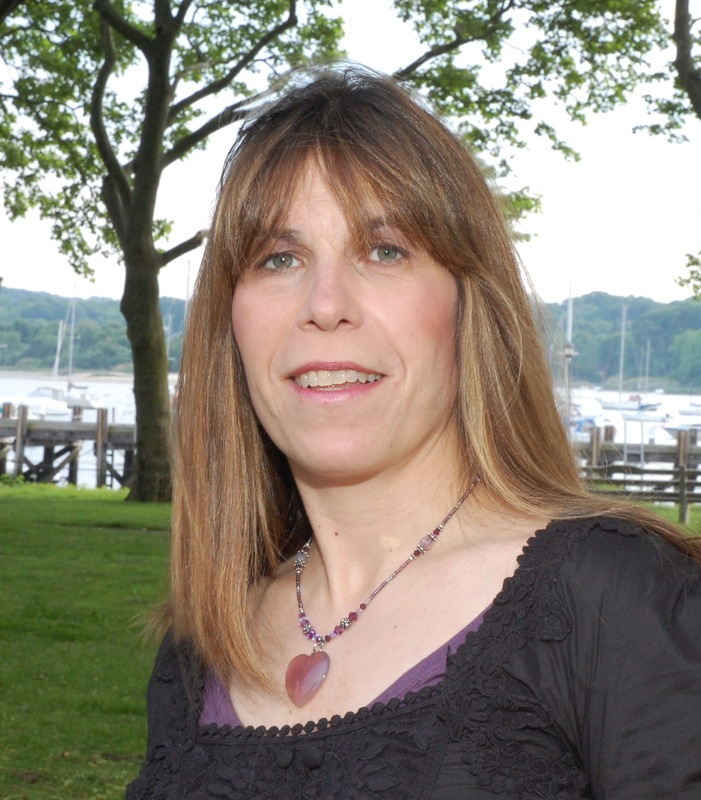 The author based this aspect of her story on her aunt's own concert hall barge in Brooklyn. Check out Barge Music here. Now I have to mention Axel. He has rushed his way to the top of my favorite swoon-worthy male characters. Could I have one just like him, flaws and all? The way he befriends Willow, promising to make her smile and then becoming this incredible rock for her to continually lean on was simply fantastic. He's an enigma. A talented musician, close-mouthed about hsi own problems but his huge heart makes him befriend Willow and her aunt. These two ladies bring out the part of this young man worth loving and Axel needs true, selfless love and affection. I can't reveal what happens but he is great when Willow needs him to be. His emotional scenes made me tear up. I know I frequently mention insta-loves in YA, but in this case I had an insta-love for Axel. Instant fan girl here! My only comment is on the two male characters and how they were portrayed in a stereotypical manner. Craig is a local guy, 20, middle class and speaks in the dialect of the Rockaways. He comes across as leering and untrustworthy when he's around Willow from the beginning. Axel is good looking, talented, intelligent and from a wealthy family despite his messed up life. Reversing the backgrounds of the good and bad guys would have been interesting and not so typical. (Updated comment) I thought about my comment and wanted to add Axel had to be wealthy for his storyline to work. Having money enabled him to live his life the way he needed to that summer. Music can be a powerful thread weaving people together and saving others. 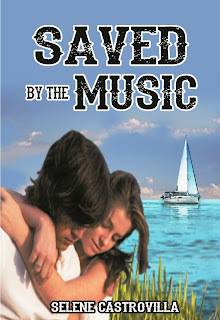 Saved By The Music is a poignant and moving contemporary YA featuring a different setting and a truly awesome friendship and budding romance. I LOVED it! I recommend it for mature readers. I don't like this cover at all. I would have walked away from it if I saw it on a book store shelf or dismissed it if it was grouped with other modern day ebook covers on an online store. I would redo the cover. This story is too good for an outdated cover. Winner's choice between iPod Nano or Kindle Fire (or Paperwhite) + SAVED BY THE MUSIC ebook (US only), and 10 second prize winners will receive an ebook copy of SAVED BY THE MUSIC (International). Climbing on a boat is always a little scary for me so I can see where Willow would have to have some trust in her aunt. Thanks for being part of Selene's tour! Great post :). I love the unique setting for this book and Willow's crazy Aunt. I feel like these aspects of the book will make an already good story that much more interesting. Can't wait to read it! This story sounds great! A book I think I will truly enjoy! I really like the description of the book. At first, I couldn't imagine living on a rough barge, but I checked out the Barge Music website and I can see the possibilities. The story sounds good too - thanks for sharing. I agree about the cover, not one that I would have picked up at the bookstore. I read Selene's other novel "The Girl Next Door" which was pretty good. I have a hard copy of "Saved by the Music" but I agree that this cover is much nicer. Anyway, I can't wait for the next blog tour!